Brewing beer existed in Israel more than 5,000 years before the first known evidence discovered in China. 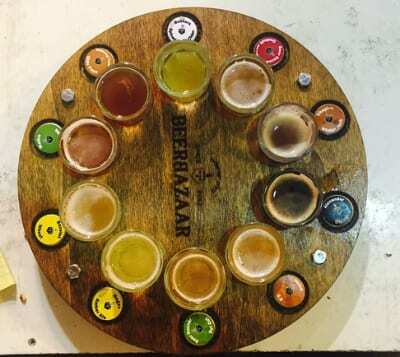 The tap wheel, giving customers a shot each of 10 beers, at the Beer Bazaar in Jerusalem’s Shuk Mahane Yehuda. Credit: Maayan Jaffe.